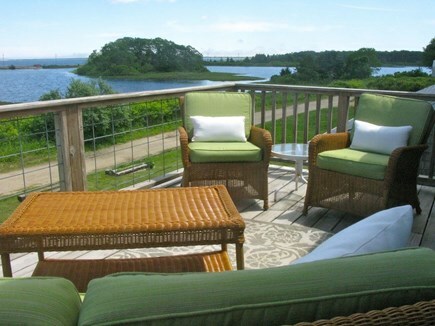 This warm, cozy home boasts 3 decks and a view of Farm Pond and Nantucket Sound. 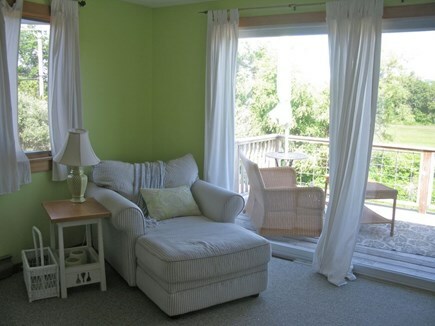 The front deck is perfect for reading a book and has access to the 2nd bedroom. 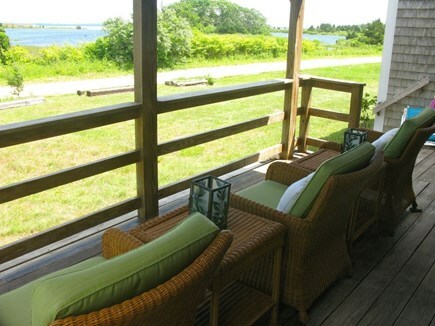 The side deck has an electric awning that shades the area from the morning sun. 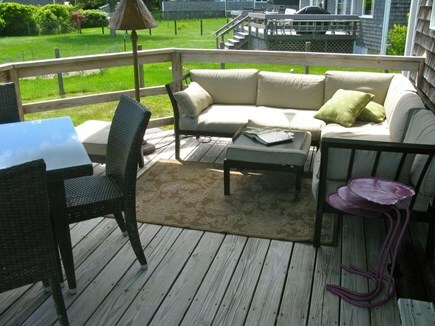 The seating area and dining table allow you to enjoy a cup of coffee in the morning and entertain at night. 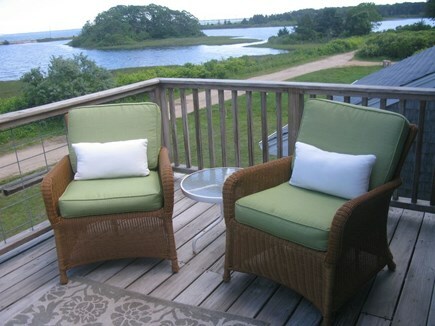 The master bedroom's deck will delight you with a spectacular ocean view and Edgartown in the distance. 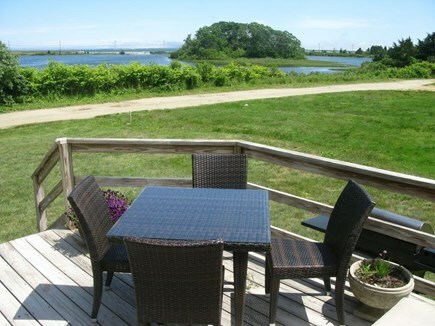 This is a wonderful setting for sipping a glass of wine and reflecting on the day. 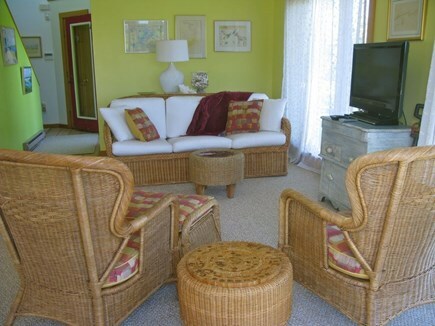 With Inkwell beach and Circuit Ave just a short walk or bike ride away, our home is ideal for families with children and teenagers. 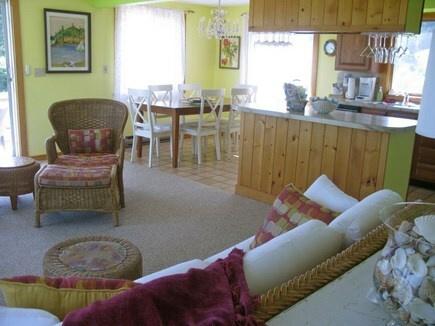 The 'great' room (living room, dining room, kitchen combo) is the heart and soul of the house. 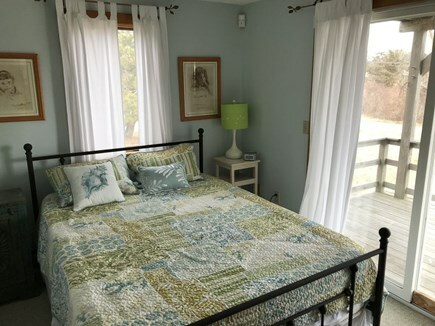 The Master bedroom with upstairs deck and is the perfect spot to watch the sunrise or see Edgartown fireworks off in the distance. 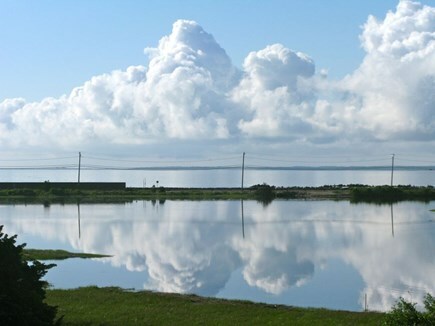 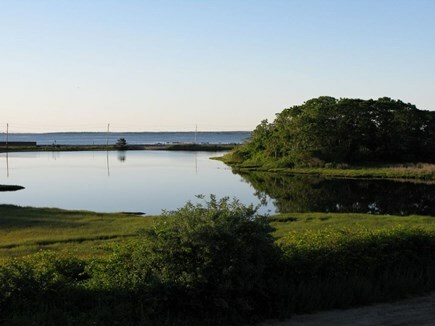 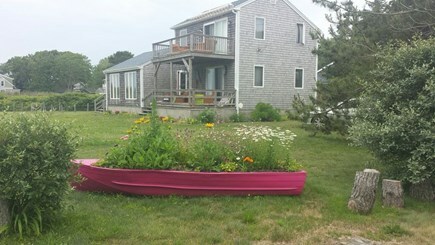 Any time of day, you can gaze upon Farm pond and see the baby geese, and perhaps catch a glimpse of ''Nessa'' the island's very own sea serpent. 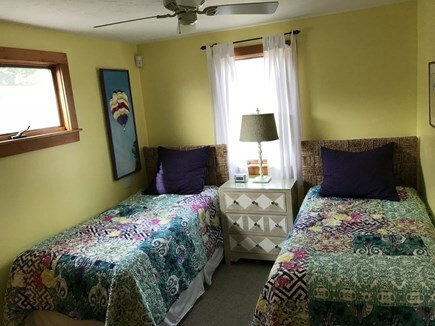 The back room has twin beds perfect for vacation roommates or a designated kids room. 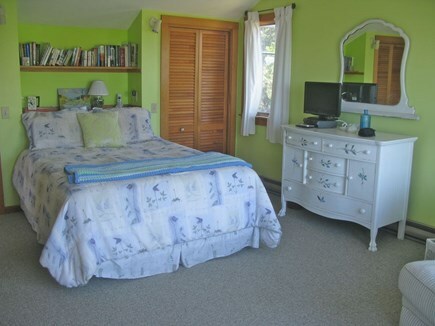 The front bedroom has a queen bed access to the front deck and views of Farm Pond.